This is our first meeting of the New Year and we have started with a French classic The Count of Monte Cristo by Alexandre Dumas, Janet's choice. In attendance were Betty, Colette, Janet, Jolene, Michèle and Shirley. Betty served lovely cheese, pinwheel sandwiches and a lovely fruit crisp with ice cream. First on the agenda for this meeting was the selection of the best book of 2013. A testament of the quality of the books we read was evident in the votes. No one book received a large number of votes. Still Alice by Lisa Genova that was Betty's choice, received the most votes. Deafening by France Itani, The Unlikely Pilgrimage of Harold Fry by Rachel Joyce and The Help by Kathryn Stockett all received the same number of votes. Congratulations Betty, second year in a row! Janet chose this book when we read Balzac and the Little Chinese Seamstress. If you remember, the two young men in this story are obsessed by the french classics of which one was The Count of Monte Cristo. Alexandre Dumas was born in 1802 to a French Nobleman and a black woman in St. Dominique (now Haiti). He wrote plays for the theatre and several novels that were published as serial stories by several newspapers. The Count of Monte Cristo was published weekly over 18 months from August 1844 to January 1846. It is said that Dumas had the help of a ghostwriter Auguste Maquet. To accommodate the serial format of the novel, the chapters are short and almost always ended dramatically. 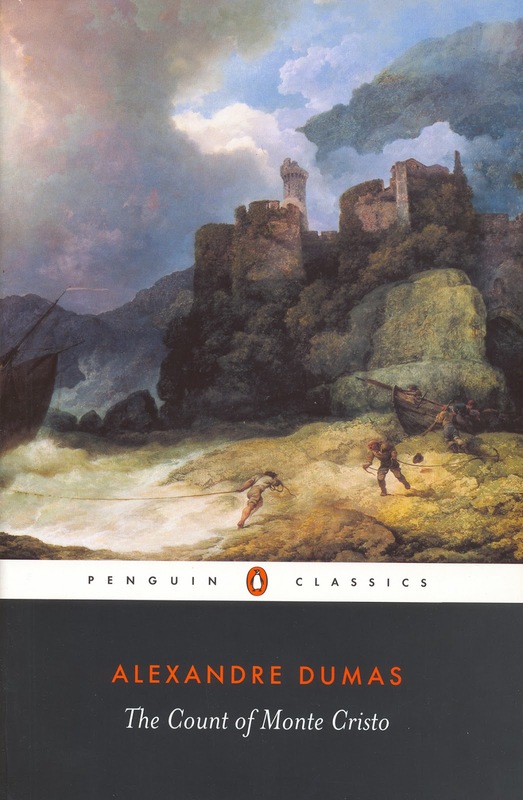 The Count of Monte Cristo is an aventure tale that spans several years in the 19th century during France's 2nd Empire with numerous characters and plots. The main character Edmond Dantès has several alias as do other characters in the story. It is a story of love, perseverance, revenge and redemption. Edmond Dantès a young merchant sailor comes back to Marseille and becomes captain of his own ship. Because of his stop over on Elba where Napeleon Bonaparte is in exile, he is accused of treason and jailed at the Château d'If off the coast of Marseille. He eventually escapes his captors and with the knowledge acquired from a priest who was also a prisoner, finds a fortune in gold on the Island of Monte Cristo and begins to plot his revenge against his enemies who wrongly accused him of treason and jailed him. There are several plots within this story, many similar to Shakespearean like Romeo and Juliet. The length of the novel defeated some of our members. However several enjoyed the book, found it riveting, the drama, the melodrama, one member compared it to Downton Abbey, though not many agreed. There were a couple of quotes that stood out and one in particular : "Moral wounds have this peculiarity, they conceal themselves but never close; always painful, always ready to bleed when touched, they remain fresh and open in the heart." The Count is an enduring tale of basic human emotions and choices, with great doses of swashbuckling adventure thrown in. Witness the continuing movie remakes! Actually, it reminds me a little of Les Miserables, another French classic on an epic scale.